Q: Why should I choose My Gorilla Garage? A: The entire My Gorilla Garage team is dedicated to the best product and most professional installation possible. In fact, we perform a moisture inspection when we visit your home or business to ensure your concrete surface is suitable for our protective coating, so you can have a great floor that will last! A: We use state-of-the-art diamond grinding machines to prepare the surface. We DO NOT use acid — it will actually eat away the concrete and is bad for the environment. Note, in the case of high moisture content and cracks in the floor, there are additional steps involved in preparing your floor. Q: Does My Gorilla Garage offer a warranty on the floor coating system? A: Yes, we offer a warranty for as long as you live in the home and is also fully transferrable for up to 15 years to a new owner, for residential applications! Q: How much does it cost for a polyaspartic polyurea garage floor coating? A: The price really depends on the size of your floor and the current condition. Most homeowners are surprised at the affordability of a My Gorilla Garage floor. 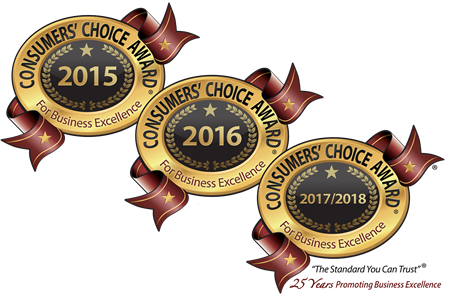 We are not the cheapest floor coating system, but our customers appreciate the great value. We have great financing options available as well! 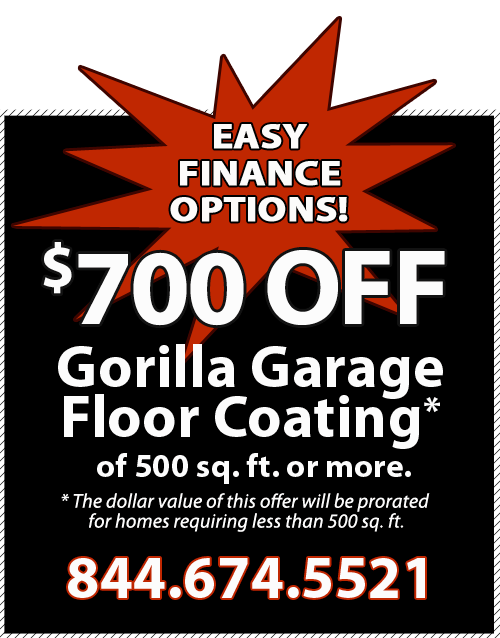 In addition, a My Gorilla Garage floor coating adds value to your home and helps with marketing when it’s time to sell. Q: Will drips from my car damage the floor? A: No! Your My Gorilla Garage floor coating is resistant to oil, fuel and similar drips. Q: Is the My Gorilla Garage floor system slippery? A: The My Gorilla Garage floor coating system has a C.O.F. (coefficient of Friction) that is actually higher than the standard required for public ramps, walkways and restrooms. Q: How does the My Gorilla Garage floor system compare to epoxy floor systems? A: Unlike epoxy floors, the My Gorilla Garage polyaspartic polyurea floor coating can be installed in one day in temperatures as low as -20 to 120! Most epoxy floors cannot be installed below 50 degrees fahrenheit. Epoxy floors take multiple days for installation and curing, which translates to more hassle. Our floor system actually absorbs into the concrete, vs. epoxy, which sits on top of the concrete. In addition, the My Gorilla Garage Polyaspartic polyurea floor coating is up to four times stronger than epoxy. Plus, our warranty is unmatched! A: Yes we can and must mechanically diamond grind the failing floor coating in order to get down to nice, bright white concrete and obtain the acceptable profile for maximum coating adhesion. Call us to talk about your specific situation. Q: What about my knee wall? A: Yes, the My Gorilla Garage polyaspartic polyurea floor coating can be applied to vertical surfaces. In fact, we highly recommend that all knee walls are coated, otherwise it will look unfinished and unsightly. Q: How do I repair cracks in my garage floor? A: Good news — you don’t have to repair the cracks! As part of our installation process we will thoroughly prepare your garage floor by chasing out all cracks with an angle grinder, which will make the sides and bottom of the cracks very porous for maximum adhesion of our proprietary rapid-cure polyurea crack filler. Give us a call at 844-674-5521 and we’ll give you a comprehensive estimate and address your unique floor needs. Q: Can My Gorilla Garage be applied to other surfaces? A: Yes! Unlike epoxy, our product is weather and waterproof and can be used on sidewalks, driveways, porches, patios, walkways and other concrete surfaces. Our product is 100 percent UV stable, meaning it will not fade or yellow over time due to the harmful rays of the sun or any overhead lighting sources. A: With our one-day process, in most situations you can start walking on your floor within two hours of completion. A: We recommend allowing one day after installation for the floor to fully cure. A: Spills will clean up easily with paper towels or a sponge. You can also use hot water and a squeegee. For stubborn spots, we suggest using Simple Green. We have also prepared a general care and maintenance guide that we provide to every customer, available here as a PDF download.